‘Adaptive Social Protection’ (ASP) came from a realisation that social protection, disaster risk reduction and climate change adaptation were three communities of practice linked by the same fundamental objective of reducing vulnerability and building resilience. Within each of these communities is a wealth of experience, tools and methods, that, if explored together, may reveal commonalities, overlapping agendas and synergies. Operationalising ASP requires a framework that supports an optimal blend of social protection programmes, climate change projects, and disaster risk reduction interventions, in order to bring out the best of each. ASP is still a relatively new concept which hasn’t yet been trialled extensively enough to know how to do it well, or even how to do it. Through our work to design and implement an evaluation of a World Bank coordinated ASP programme in the Sahel and based on some of the early literature showing the potential for synergy between these communities, we identified five principles of an effective Adaptive Social Protection programme. We suggest these can be used as a roadmap for implementers, or a checklist for holding programmes to account. Promote institutional coordination of social protection agencies with relevant climate change and disaster risk management actors. Arguably the most important and yet also the most challenging of the five principles is the recognition that establishing an ASP programme requires fostering collaboration and cooperation between sectors. Several layers of complexity make this challenging on the ground – ASP brings together a range of governmental (ministries, agencies) and non-governmental actors (donors, local and international NGOs, UN agencies) that have traditionally operated as separate technical disciplines, focused on different sets of risks and target groups. Moreover, within governmental actors, they have historically reported to different and uncoordinated line ministries. Adding to this institutional complexity is the fact that, at government level, these issues exist within and between representatives at different levels of public authority, at regional, national, subnational and community levels. When numerous actors come together, there is an increased risk of particular sectors being omitted from consultations on policy development, or from coordination groups, and that collaboration, in theory, does not exist in reality. In the Sahel, the countries who made the best progress towards facilitating integration and joint learning tended to be those who had made the effort to build on pre-existing institutional linkages and historical ties. While assessing the World bank ASP programme, we found that a rigorous context and actor mapping is a crucial first step in any efforts to promote ASP coordination. The importance of creating platforms for shared learning and inputs during implementation should not be underestimated, as they are crucial in facilitating the acceptance and inclusion of relevant actors. Ensure the scalability of programmes in the face of an extreme event. Scalability during a crisis is a critical characteristic that is emphasised in both shock responsive social protection (for an analysis of SRSP vs ASP click here) and climate-smart social protection literature. The ability to expand both ‘vertically’ (in value or duration to meet participants’ additional needs) and ‘horizontally’ (including new caseloads of people into an existing programme) is necessary for scalability and flexibility. Behind this relatively simple concept is a requirement for an established and effective early warning system with dedicated and understood triggering mechanism for releasing additional funds and resources, a contingency plan with ‘buy-in’ from all actors expected to be involved in the response, and a registry containing information on poor and vulnerable populations. 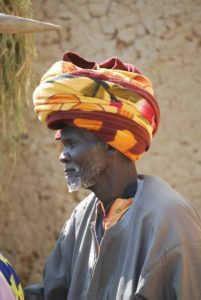 In the case of the World Bank ASP programme, progress was made in establishing the early warning systems and putting in the foundations for a functional single registry (a database of poor and vulnerable populations) capable of identifying potential beneficiaries of ASP interventions, however, challenges remained in all of the countries we visited regarding the equally important aspect of securing long-term funding requirements. Target households that are most vulnerable to natural hazards and climate change related risks. To be operational, ASP programmes need to be able to identify both the chronically poor and those that are likely to suffer transitory poverty as a result of climate/disaster shocks. This is a tricky one – unless deliberately designed to do so, it is unlikely that programmes in low-income countries will have this information available, or, even when such information is available, there is a risk it will be out of date. For effective ASP, it is key to be able to collect and update information for a large pool of households beyond those who are chronically poor and provide the information necessary to identify those who have been affected by a specific shock or disaster. At the moment, these two functions (targeting vulnerable beyond the chronic poor and being able to update regularly this information) represent two of the major challenges faced by the Word Bank ASP programme in the Sahel. Some interesting developments have been made in this area with the use of community-based targeting mechanisms – an area that definitely needs some more research – as they are only as good as their accompanying community feedback and complaint mechanisms which are difficult to establish and monitor. Design programmes that increase the adaptive capacity of households and communities. Increasing the resilience of poor households and strengthening their adaptive capacities through appropriate interventions should be a core component of any ASP intervention. While the best way to strengthen people’s resilience is still subject to debate by practitioners, there is evidence that social protection programmes can effectively strengthen the adaptive capacities of beneficiaries and help them, in particular, to adapt and evolve in response to shocks and stressors related to climate change. For instance, several reviews highlight mechanisms through which cash transfers can contribute to adaptive capacity and possibly resilience by increasing the poor’s asset base, facilitating mobility and livelihood transitions and fostering off-farm livelihood diversification. Our evaluation of the World Bank ASP programme suggests that no clear evidence is yet available to demonstrate the impact of the programme on the adaptive capacities of the beneficiaries, but this principle is important in the design of ASP programmes in general. Ensure the swiftness of the response (for example by operating through existing programmes). Swiftness (or timeliness, as it is often referred to in shock-responsive literature) is a critical element of an effective ASP programme. It is well-documented that an early response to crisis generally produces a better outcome than the same response delivered later but achieving this on the ground can often be challenging. One pragmatic way to speed up the disbursement of the transfers (cash or other forms of support) to (new) participants is to operate through an already running Social Protection programme. For example, during the response to Typhoon Haiyan in 2013 in the Philippines, a well-established national conditional cash transfer programme, Pantawid, offered a rapid means to reach a large number of people with emergency cash assistance, at a speed and scale that would not have been possible through traditional humanitarian channels (over 105,000 households within two months, compared to 85,000 through NGOs over a longer period). ASP as a theory is now moving into ASP in practice, with governments and donors alike signing financial commitments and designing programmes with the ambition of creating national and regional adaptive social protection programmes. It is important that as these programmes are built lessons learned are shared across regions, sectors and implementers, and continue to blend communities of practice to reduce vulnerability and build resilience. We believe that these five principles are a good starting point for thinking about the bedrocks of a good ASP programme, but our experience in the Sahel highlights how easy it is to underestimate the time and efforts that should be frontloaded to enable a receptive institutional context. Bringing together communities of practice whose objectives and tools already overlap seems easy in theory, how to do in reality is anything but. Fortunately, in the Sahel things are starting to click, and we’re excited to see what further lessons we can draw from this to inform future iterations of ASP. Bastagli F. (2014). Responding to a crisis; the design and delivery of social protection, ODI Working Paper, 49 p.
Béné C., Cannon T., Davies M., Newsham A., and Tanner T. (2013) Social protection and climate change – a paper prepared for the OECD-DAC Task team on Social Protection, OECD Paris, 27 p.
Chiwele, D.K. (2010), “Assessing Administrative Capacity and Costs of Cash Transfer Schemes in Zambia: Implications for Rollout”, International Policy Centre for Inclusive Growth, available at http://www.ipc-undp.org/pub/IPCCountryStudy20.pdf. Davies, M., Béné C. Arnall A., Tanner T., Newsham A., and Coirolo C. (2013). Promoting resilient livelihoods through Adaptive Social Protection: lessons from 124 programmes in South Asia. Development Policy Review, 31(1): 27-58. Deshingkar, P. (2006). Internal Migration, poverty and development in Asia, ODI, London, available at http://www.odi.org.uk/resources/download/29.pdf. Deshingkar, P., P. Sharma, S. Kumar, S. Akter and J. Farrington (2008). Circular migration in Madhya Pradesh: changing patterns and social protection needs, ODI, London. Gertler, P., S. Martinez and M. Rubio-Codina (2005), “Investing cash transfers to raise long term living standards”, mimeo, World Bank, Washington DC. Gilligan, D.; Hoddinott, J. and Taffesses, A. S. (2009). The impact of Ethiopia’s Productive Safety Net Programme and its linkages. Journal of Development Studies 45(10), 1684-1706. Godfrey Wood, R. (2011). Is There a Role for Cash Transfers in Climate Change Adaptation? In S. Devereux and J.A. McGregor (eds), Social Protection for Social Justice. International Conference, Brighton, Institute of Development Studies, 13-15 April. Kuriakose A.T., Heltberg R., Wiseman W., Costella C., Cipryk R. and Cornelius S. (2012). Climate-responsive social protection’. Social Protection and Labour Discussion Paper No. 1210. Washington DC: The World Bank. La Rosa, M. (2015). Are Social Protection and Safety Nets viable Avenues for Policy Makers for Crisis Response in LICs and Fragile States? Initial scoping study report, ECHO. McCord, A. (2013). ODI Shockwatch: Review of the Literature on Social Protection Shock Responses and Readiness. ODI, London. Neves, D., M. Samson, I. van Niekerk, S. Hlathshwayo and A. du Toit (2009). The Use and Effectiveness of Social Grants in South Africa, PLAAS and EPRI. O’Brien, C., Scott, Z., Smith, G., Barca V., Kardan, A., Holmes, R., Watson, C. and Congrave, J. (2018b), Shock-Responsive Social Protection Systems research: Synthesis report, Oxford Policy Management, Oxford, UK. Pelham, L., Clay, E. and Braunholz, T. (2011). Natural Disasters: What is the Role for Social Safety Nets? Social Protection Discussion Paper No 1102. World Bank. Slater, R. and Bhuvanendra, D. (2013). Scaling up existing social safety nets to provide humanitarian response: a case study of Ethiopia’s Productive Safety Net Programme and Kenya’s Hunger Safety Net Programme. Fit for Future Social Protection Thematic Study, CaLP, UK. Slater, R., Bailey, S. and Harvey, P. (2015). Can Emergency Cash Transfers ‘Piggyback’ on Existing Social Protection Programmes? Background Note for the High Level Panel on Humanitarian Cash Transfers. ODI, London. Kuriakose et al., (2012); Davies et al. (2013); McCord, (2013); Slater and Bhuvanendra, (2013); Slater et al., (2015); La Rosa, (2015). Béné et al (2013); Godfrey-Wood, (2011); Sabates-Wheeler et al., (2008); Gilligan et al., (2009); Gertler et al.,(2005); Neves et al., (2009); Schuring, (2009); Chiwele (2010); Martinez (2004); Soares et al., (2008); Deshingkar, (2006); Deshingkar et al., (2008). (Pelham et al., 2011; McCord, 2013; Bastagli 2014; O’Brien et al. 2018b).